Need to reset your Xbox One or Xbox 360 console? Perhaps you’re planning to sell your system Trading In Your Video Games – Is It Really Worth It? Trading In Your Video Games – Is It Really Worth It? Does trading in a game really make sense for you and your wallet? Or are you leaving money on the table by handing your used games over to a retailer? Read More and want to remove your personal data from it. Or maybe you’ve had a corruption issue and need to perform some troubleshooting. Here’s how to perform a factory reset on the Xbox One and Xbox 360. Note: These instructions will reset your console, not simply restart it. Performing the following will erase ALL data on your system and reset it to factory defaults. Press the Xbox button to open the Home menu and scroll over to Settings. Select All Settings, then System. Choose the Console info & updates tab, and hit the Reset console entry. Reset and remove everything: Deletes everything on the console and resets it to factory defaults. Reset and keep my games & apps: This will reset the Xbox operating system but won’t touch any installed games or apps. If you’re performing a reset to troubleshoot an issue, you should use this first so you don’t lose saved data or have to re-download huge games Best Games to Play on Your New Xbox One Best Games to Play on Your New Xbox One Got a new Xbox One and need some games? You're in luck. Here are the games to get you started, no matter what genres you like. Read More . Should you continue to have issues, you may have a corrupted game and need to perform a full reset. Confirm your choice, and your Xbox will perform the reset. Note that the second option will still delete your accounts, save data, and settings. Make sure you’ve backed up everything to Xbox Live How to Protect Your Game Saves on Any System How to Protect Your Game Saves on Any System If you've ever lost a video game save to a power outage or corruption, you know how devastating it feels. Here's how to make sure you never lose save data again. Read More so you don’t lose it. Scroll over to Settings on the home screen. Select the System entry and choose Console Settings. Scroll down to System Info and select it. Note the Console Serial Number shown here, as you’ll need it in a moment. Jump back to the System Settings menu and choose Storage. Select the Hard Drive entry that’s connected to your Xbox 360. Choose Format. Confirm the operation, then your Xbox will ask you to enter the serial number that you copied down a moment ago. Once you enter the serial number, your Xbox will perform a factory reset. Like the Xbox One, this will completely erase all data on your system, so make sure you back it up first. 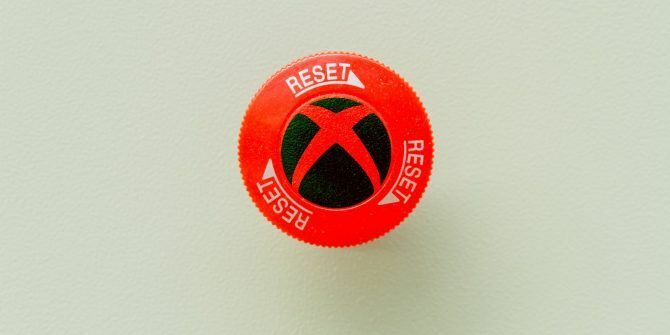 Have you ever had to reset an Xbox? What was your reason for doing so? Share with us in the comments! Explore more about: Xbox 360, Xbox One. How do i save music on xbox from a usb ?